The extent of my St. Patrick's Day Celebrations are usually wearing green and ending the day with a Kells Irish Lager. 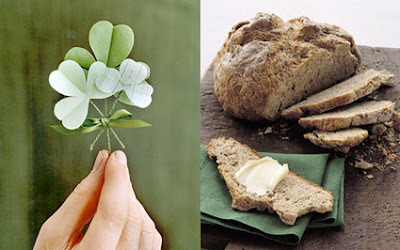 This year I think I'll make some of these adorable Shamrock Boutonnières or use my new bread maker to prepare an Irish Soda Bread (both from Martha Stewart). No green food coloring necessary.